Have you ever accidentally or intentionally delete a file and then empty the recycle bin as usual? Have you ever lost your precious and memorable photos and video due to formation of memory card? Have you ever lost your data because of viral attack or hardware failure? If any of them situation happened with you, so you might be worried and felt helpless because of great loss. Data loss is a heartbreaking and frustrating situation but if you have a worthy recovery software that it can’t be painful anymore. 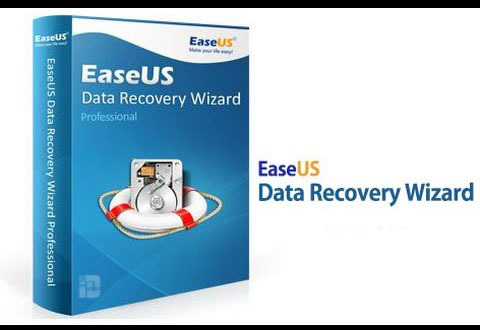 As far as the free data recovery software is concerned, I don’t think EaseUS data recovery wizard needs any introduction. 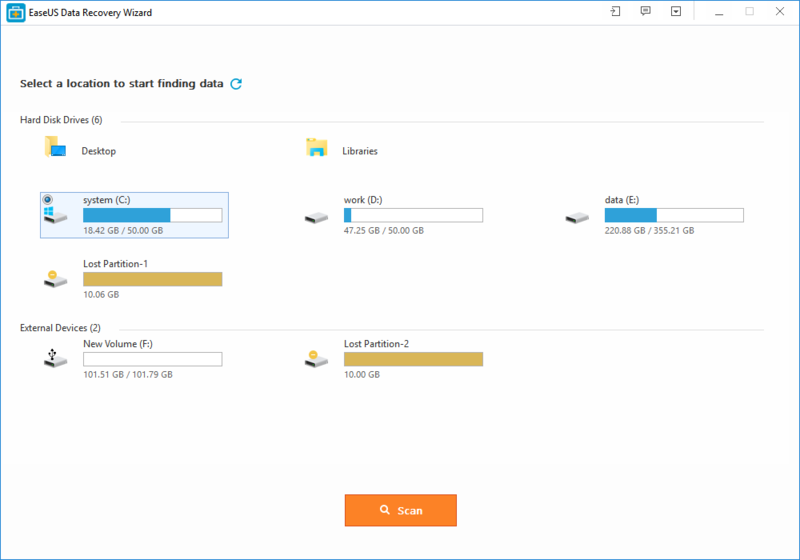 This reliable and effective software is able to recover lost or deleted files, pictures, videos, audio and more from any storage device. It can also able to do a lot of lost data recoveries, such as accidental deletion data recovery, hard drive recovery, memory card recovery, recycle bin empty recovery and mac data recovery as well. 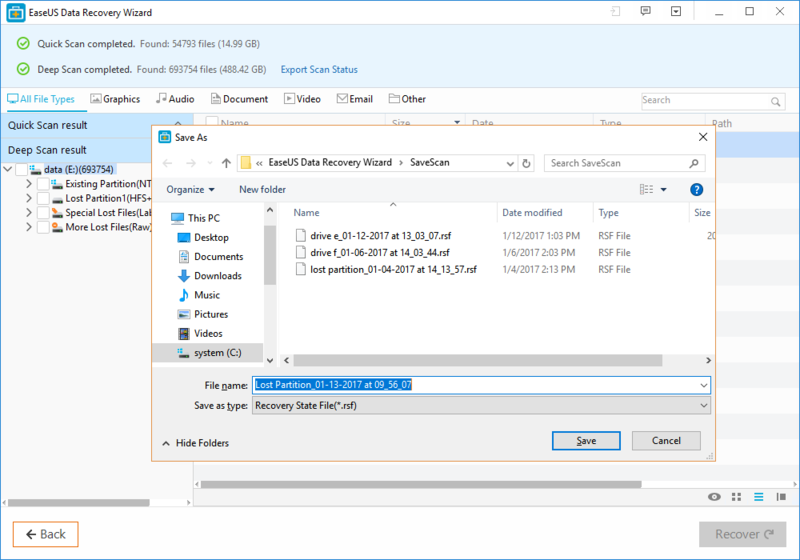 At the very first, you have to download the free version of EaseUS data recovery wizard for free trial and then install it on your Computer and device. Then launch the program and select the location where you lost data for searching lost data. And then click the “Scan” button to start processing. The program provides you two modes of scanning; the quick scan and the deep scan. When you click the “scan” button, the quick scan starts first and it does not take too much time. After that, the deep scan automatically starts in order to find further lost or deleted files and it takes longer, so be patient and do not interrupt it during processing. 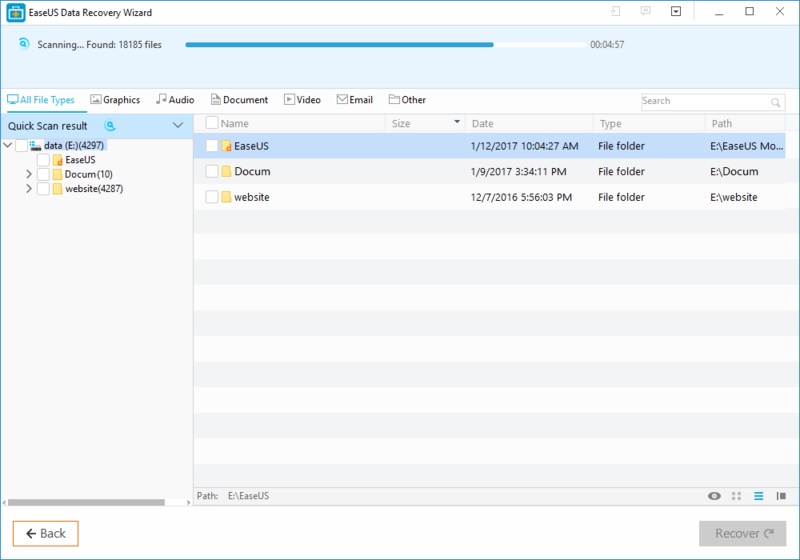 When both scan has completed, the EaseUS program shows you a preview list for file filtering. Select whatever you desire to get back and then click the “Recover” button and select the location where you want to save it.